We took a bus tour across the countryside to the other side from the port. Our guide was most-excellent and spoke great English. The beach we went to was nice. The local beer was good. The food was great. Depending on the day of the week you may find some shops closed, which is typical in Europe. We also went to the fort and found it to be really cool! The wind from the sea is strong, and you can see forever from the top. Seeing the military fortifications from the Nazi days was sobering but historical. 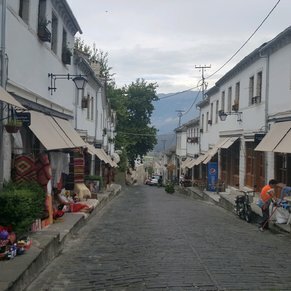 I think Albania will become more and more popular so go now while it’s still a hidden treasure. This is a brand new port that needs quite a bit of work in order to be worth the money for a tour. The monastery I found to be a little dangerous in that the steps and getting to the monastery were not well kept and I found it to be a hazard. I also think to improve all of the ports you should be able to shop for at least a half hour. It would help the economy in each port and it is an enjoyable and very entertaining activity. My Favourite of all. Beautiful country. Blue Eye. Friendly people. 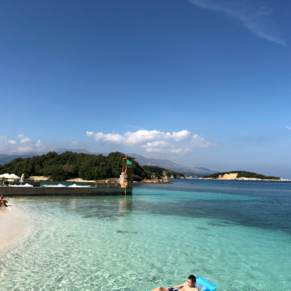 A leisurely day in the port, swimming in the sea and sunbathing. Did a little shopping too. Pretty little port. 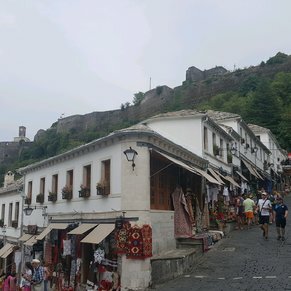 Interesting port, locals very friendly! 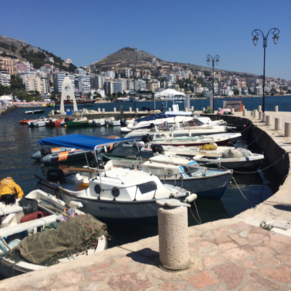 3 of 3 shore excursions in Sarande, Albania. There are currently 1 discussions about Sarande, Albania.